The db.destroy() method is used to delete a database in PouchDB. This method accepts a callback function as a parameter. Let's delete database named "First_Database" in PouchDB using destroy() method. You can delete a database that is stored remotely on the server (CouchDB). You just have to pass the path of the CouchDB database which you want to delete instead of database name. 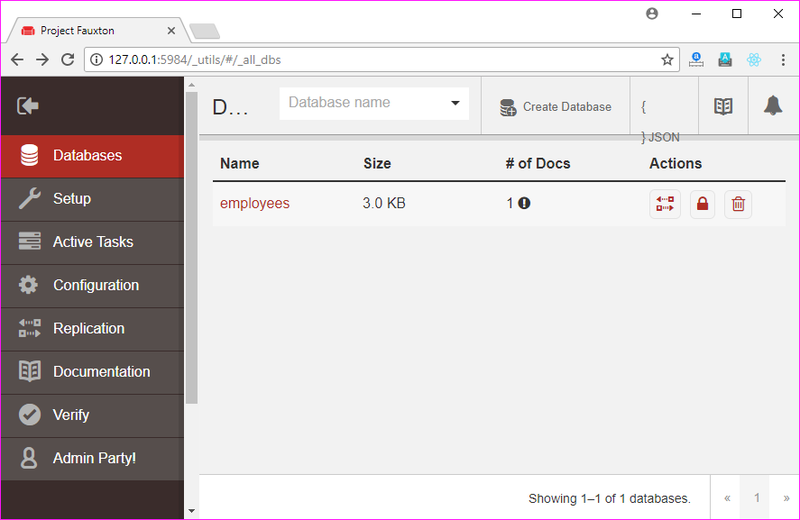 The following example will delete a database that is saved in the CouchDB server. This following code will delete the database named "employees". The database "employees" is deleted now. You can verify it on CouchDB server. You can see that "employees" is not available in the database's list.